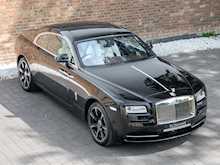 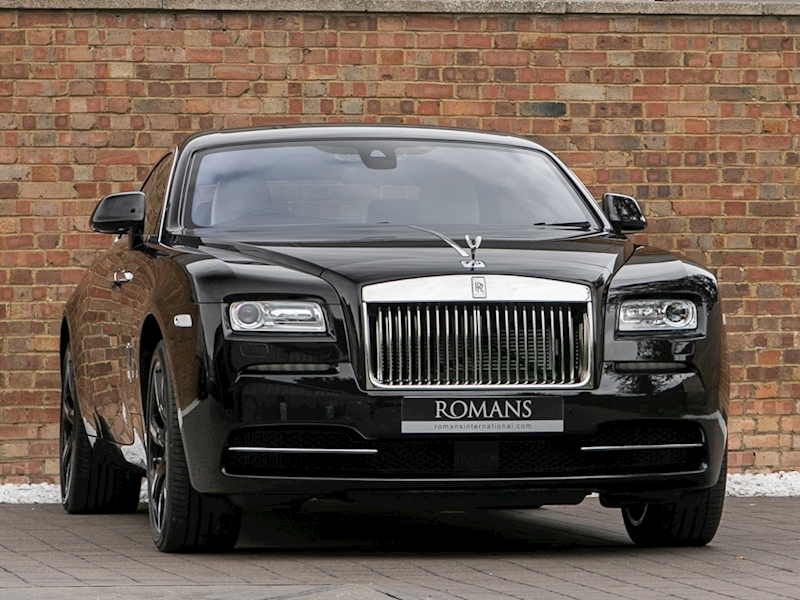 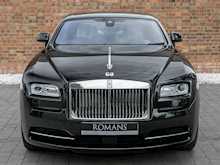 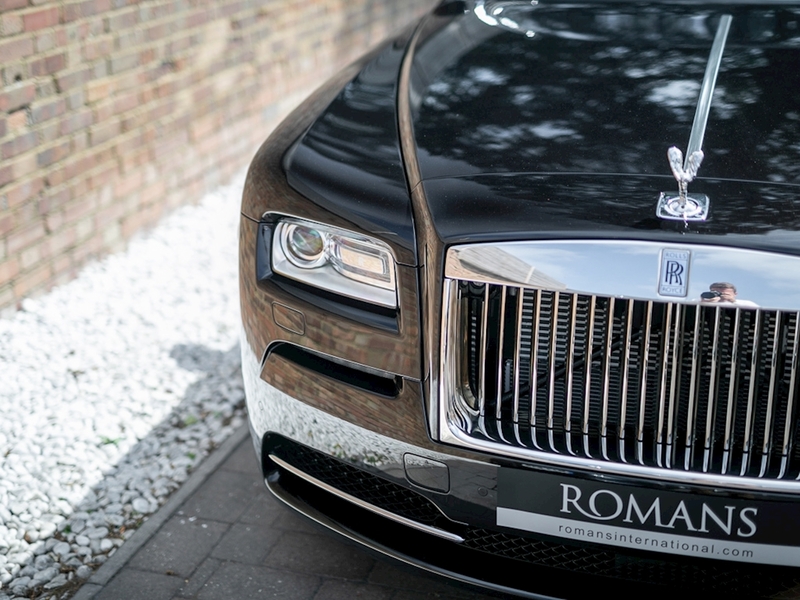 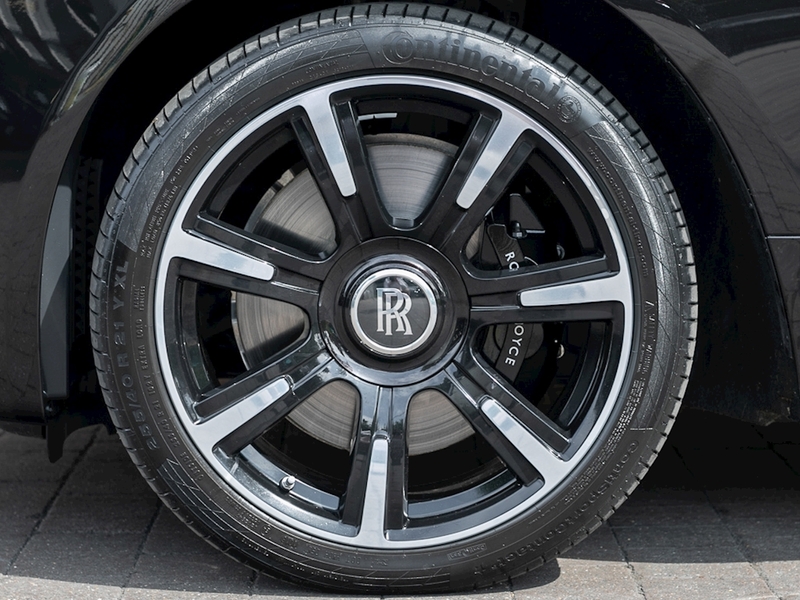 This is one of a series of 9 bespoke one-off Rolls Royce Wraiths in the ‘Inspired by British Music’ collection. The series was in collaboration with famous British artists such as Roger Daltery CBE from The Who and Sir Ray Davies from The Kinks. 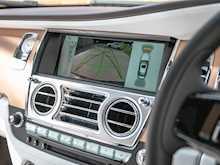 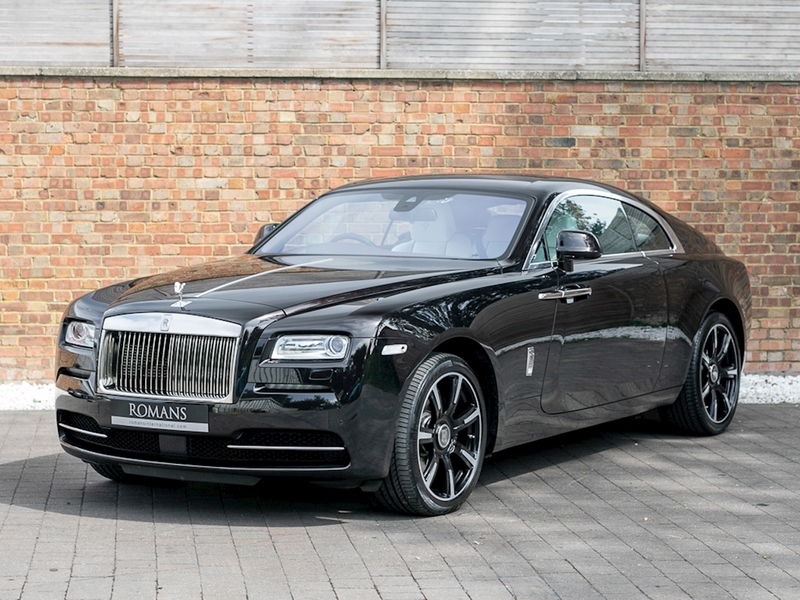 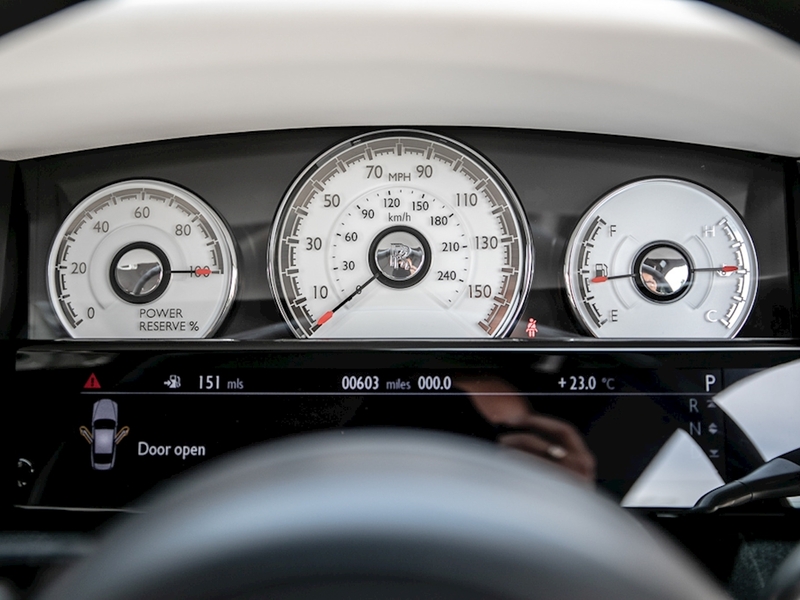 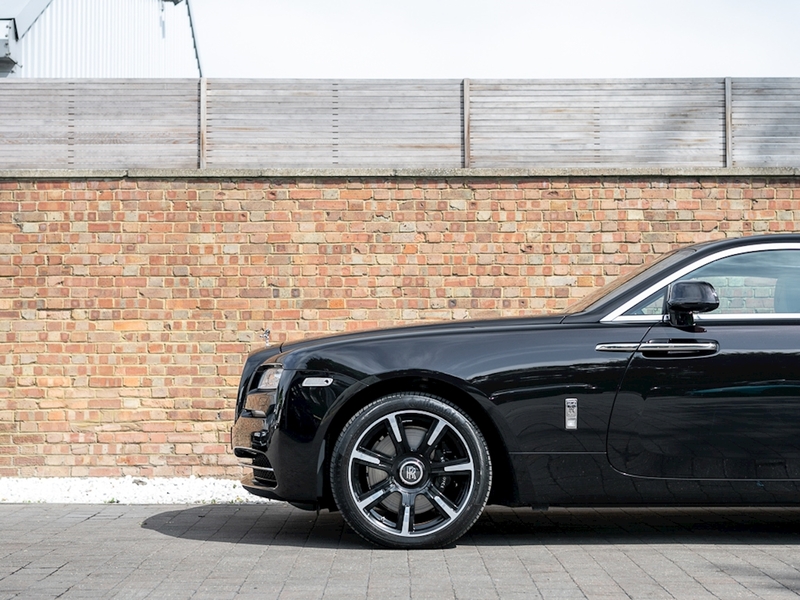 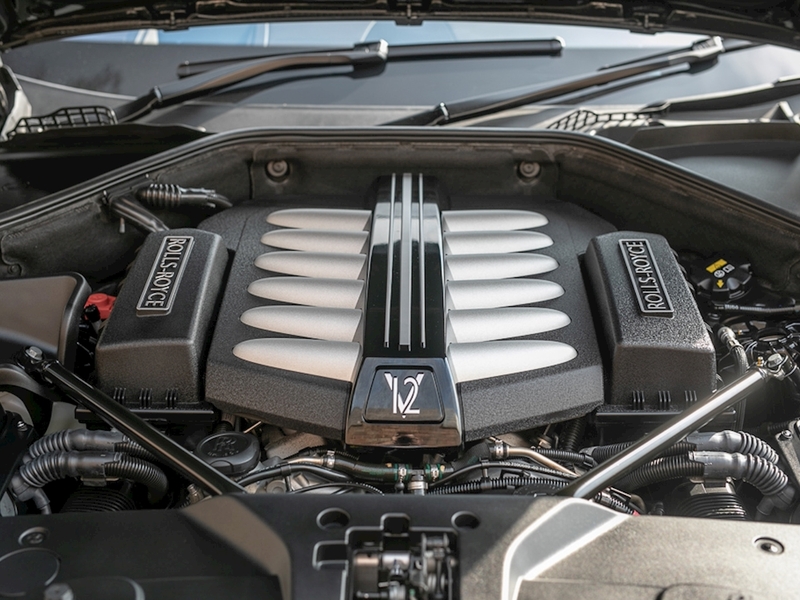 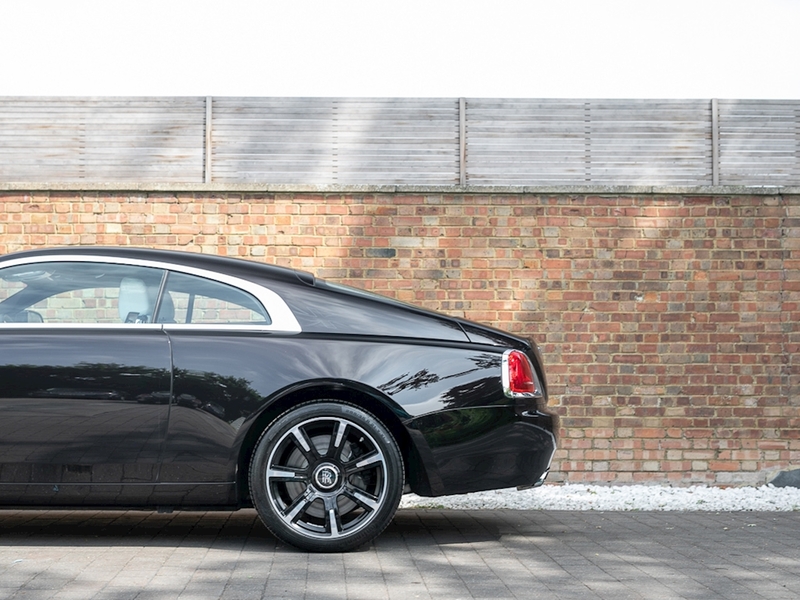 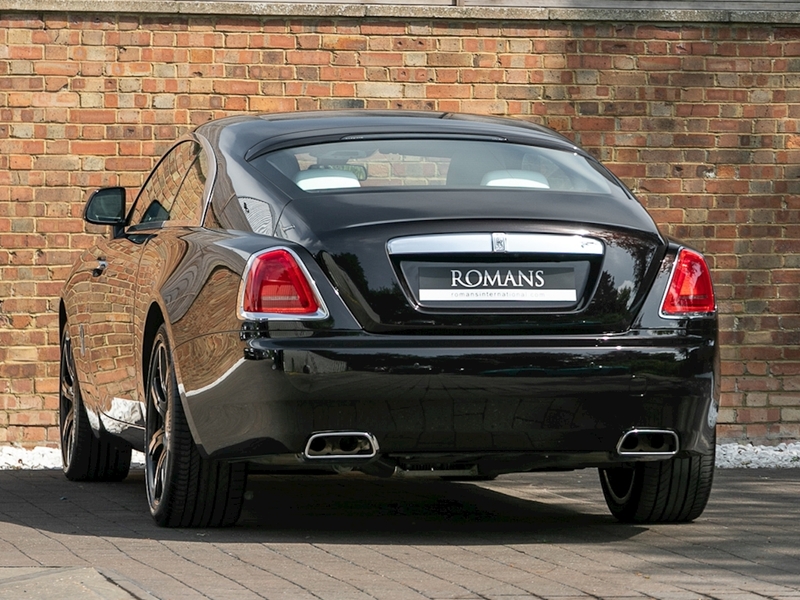 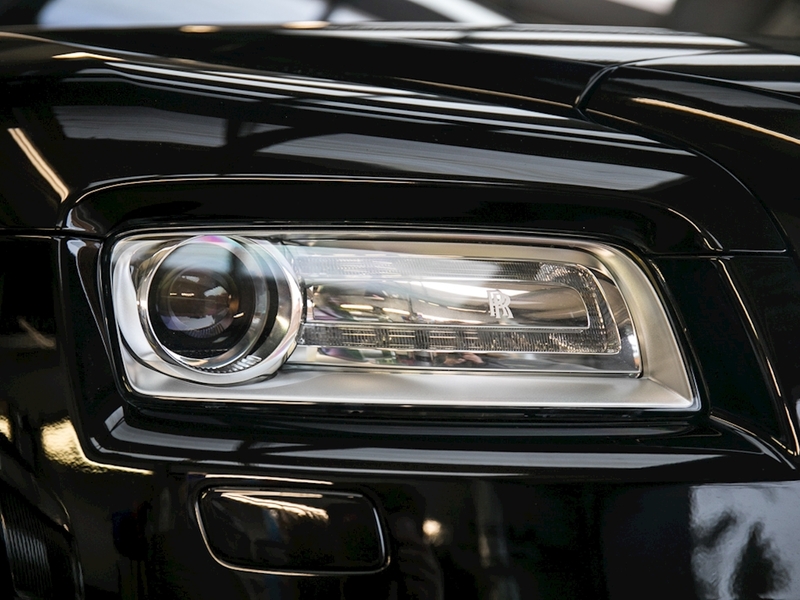 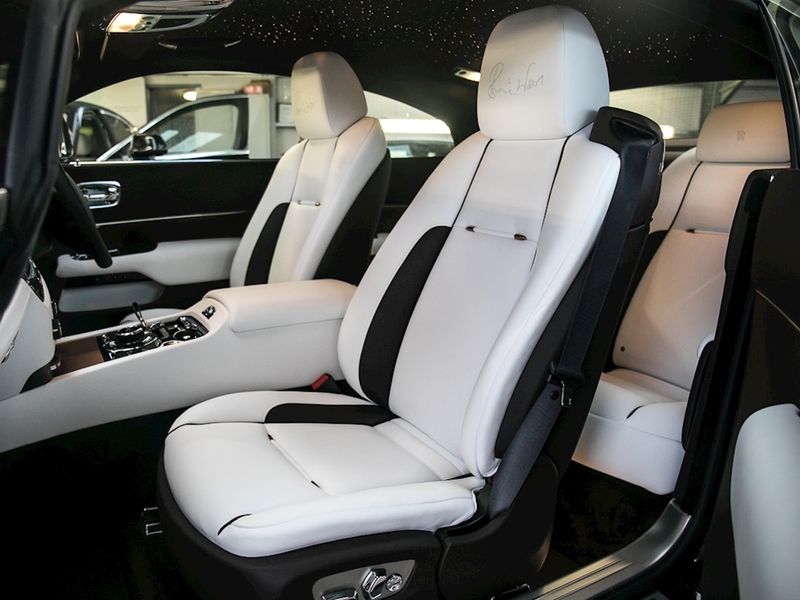 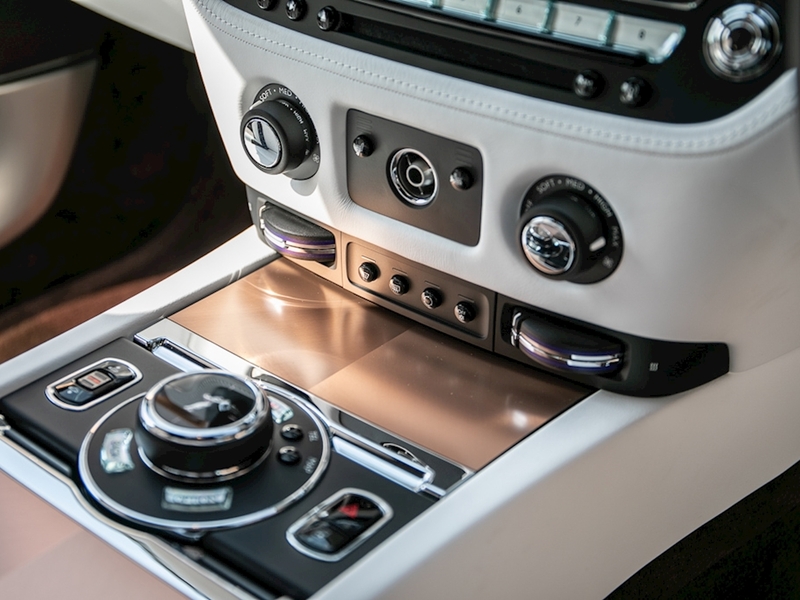 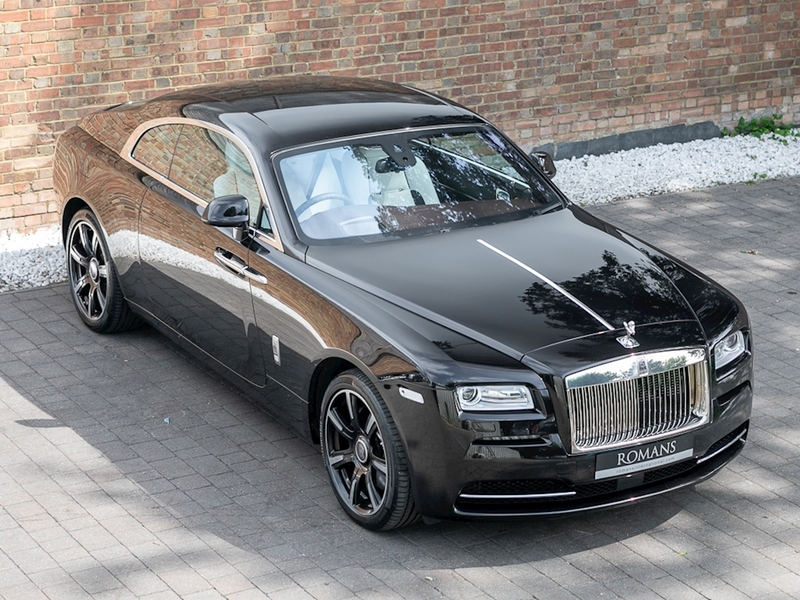 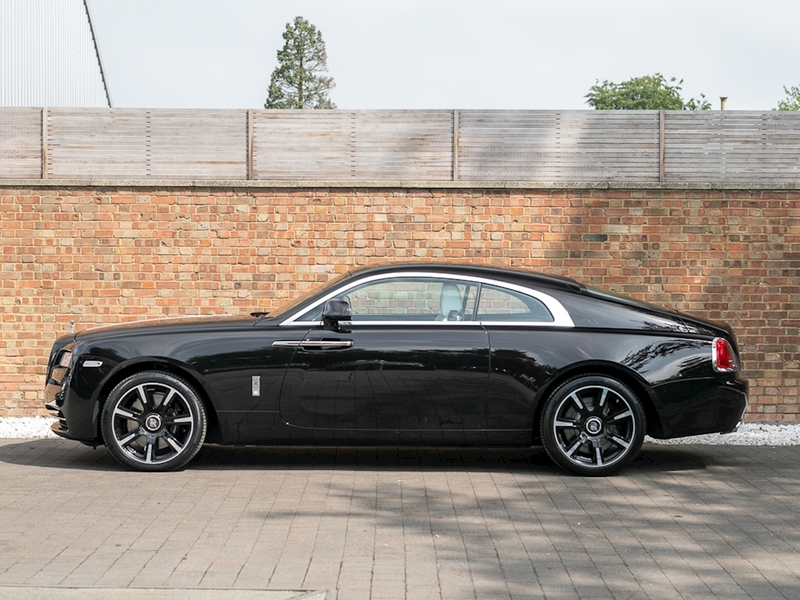 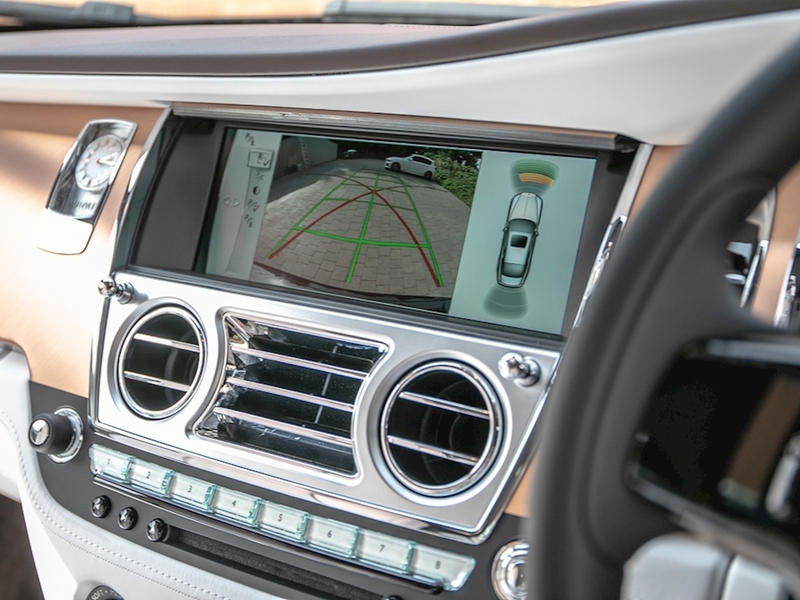 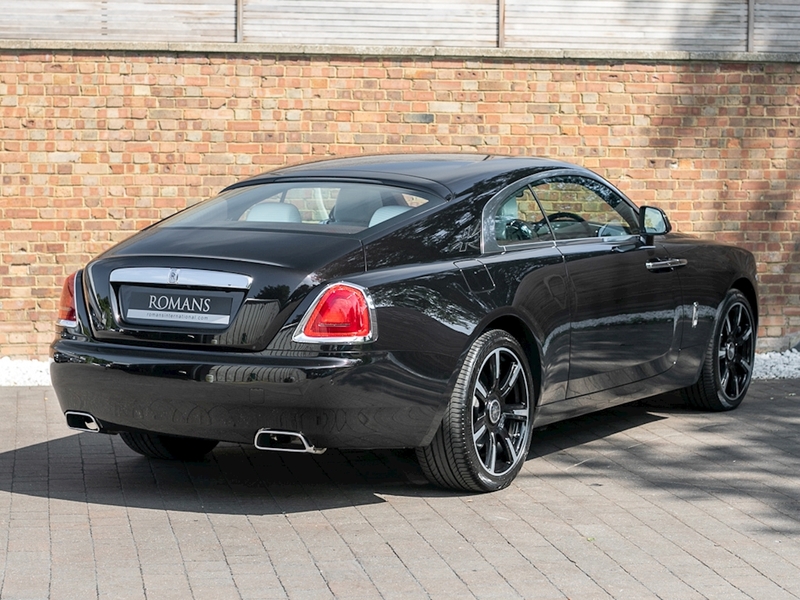 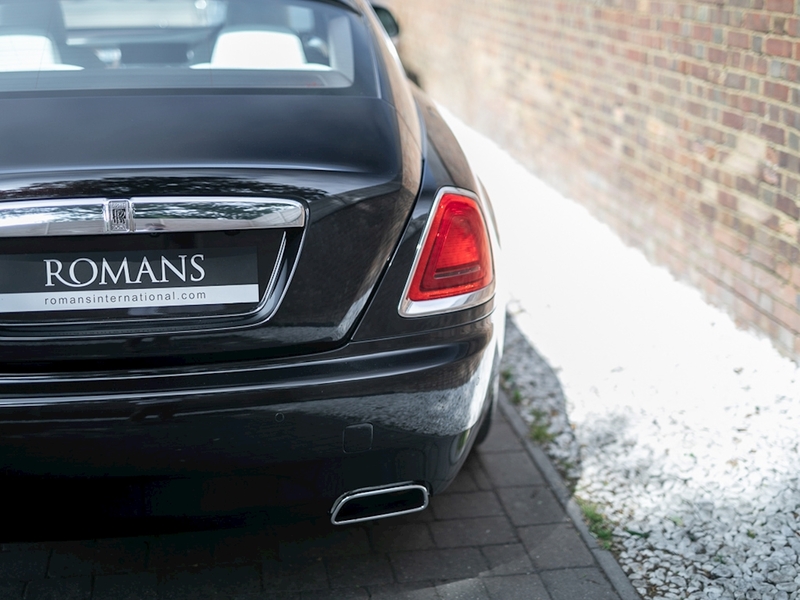 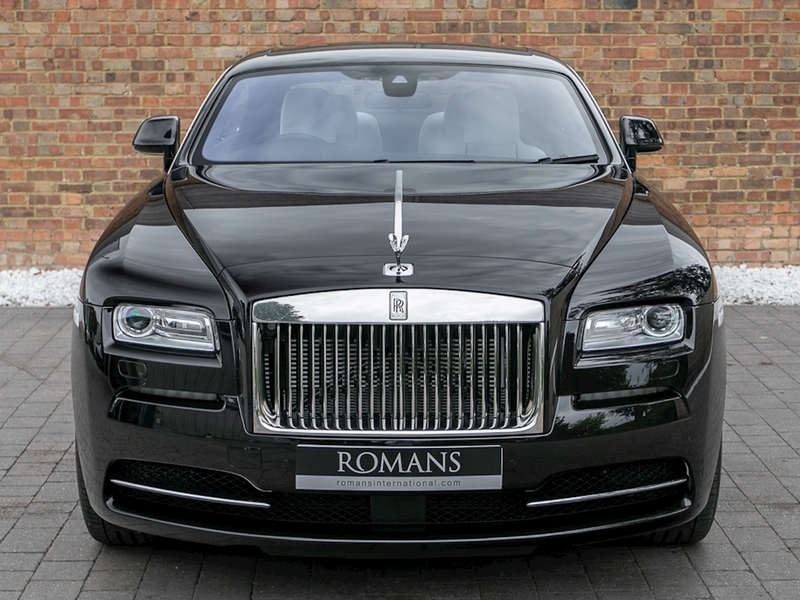 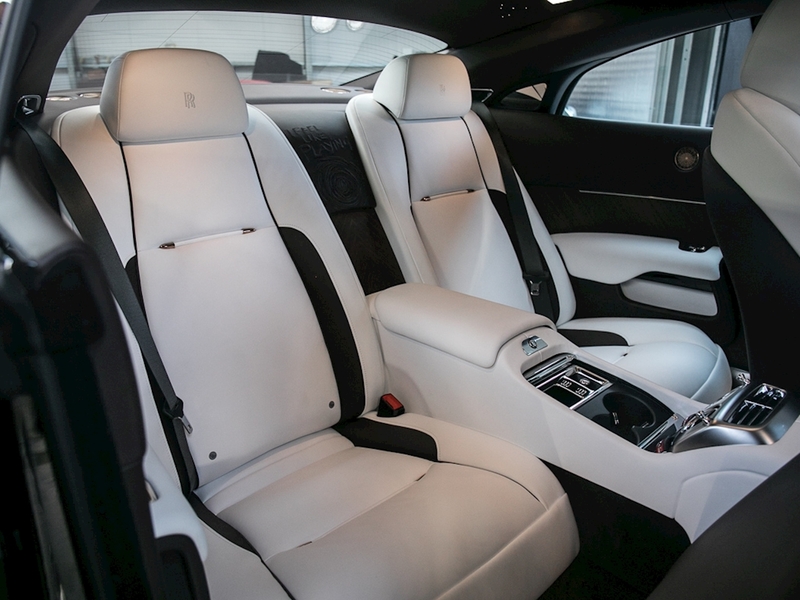 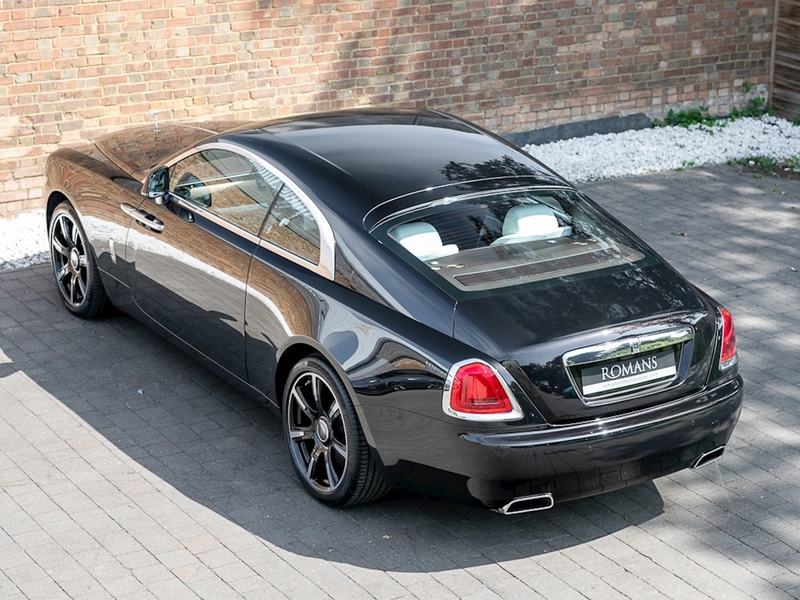 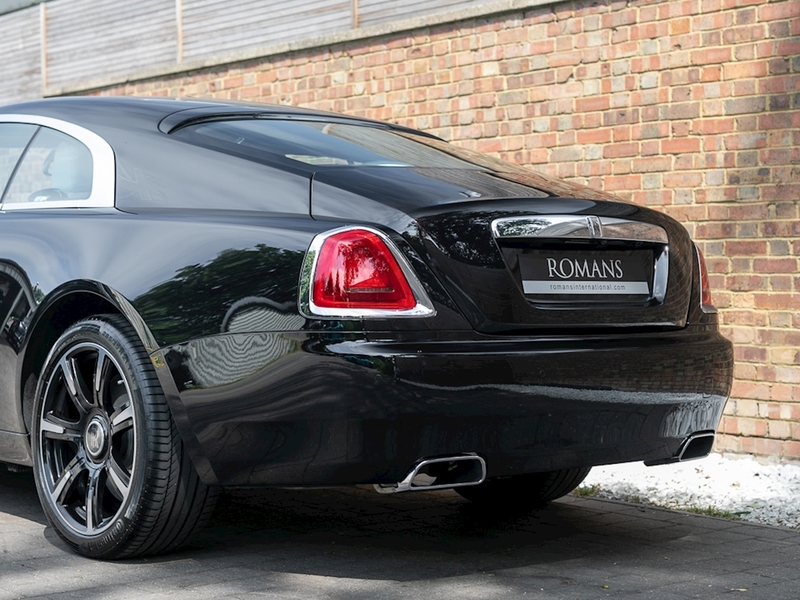 This particular Wraith came to fruition with creative touches from Ronnie Wood, rock legend and Rolling Stones band member, to create a car that celebrates five decades of music from this revered British rock figure. 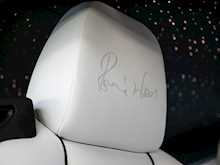 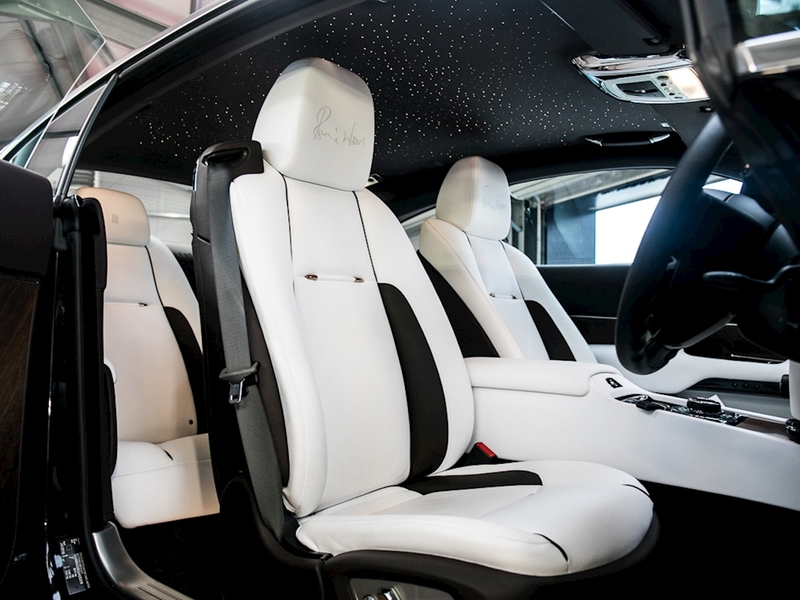 The front headrests have received Ronnie Wood’s unique and beautifully embroidered signature, whilst the rear centre waterfall has been adorned with artwork by Ronnie Wood himself, inspired by the cover of his seventh solo studio album ‘I Feel Like Playing’ (2010). 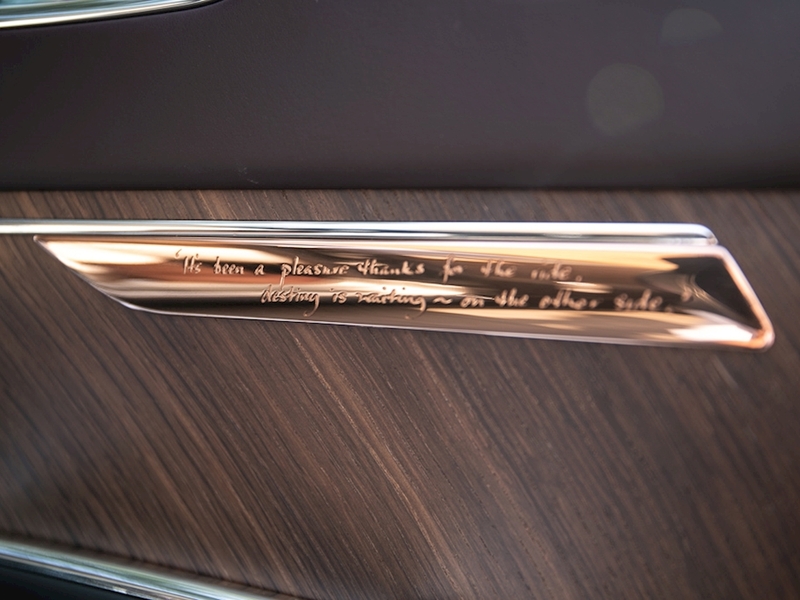 The copper door flights are engraved with lyrics from ‘I Gotta See’ taken from the same album and really set this car apart as a truly special example. 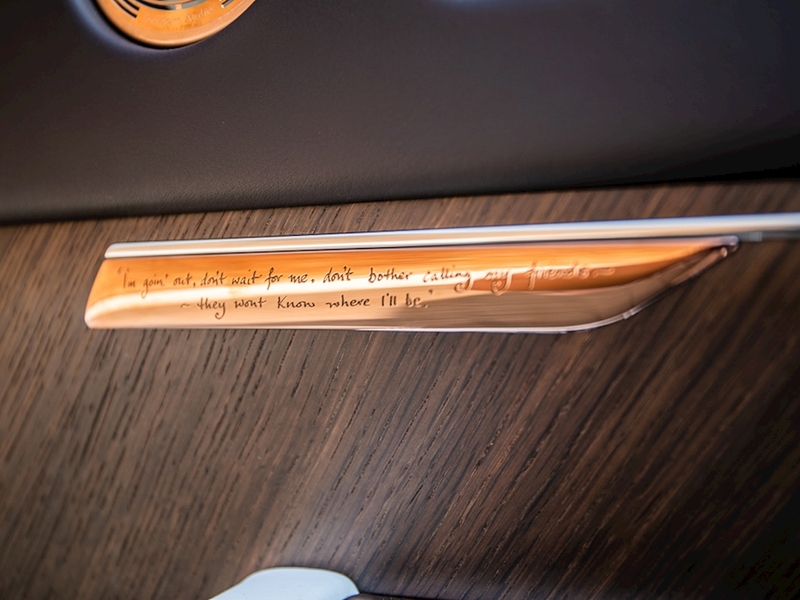 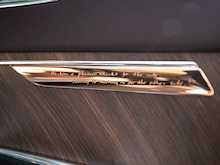 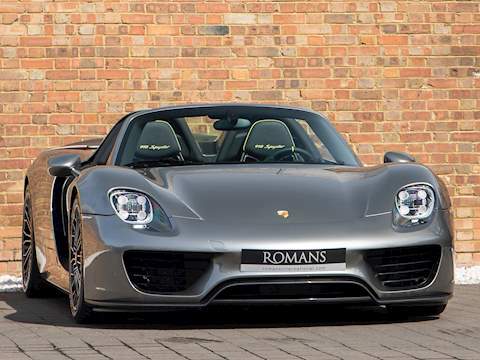 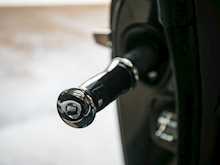 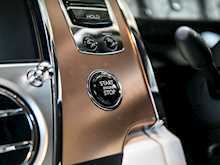 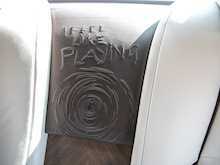 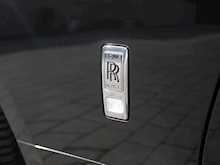 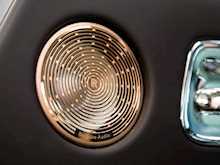 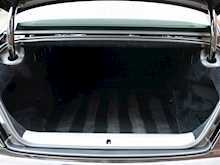 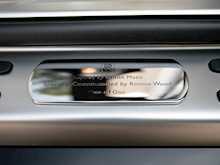 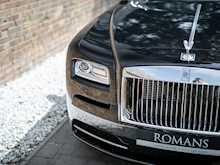 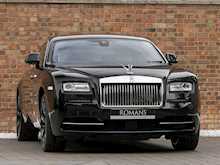 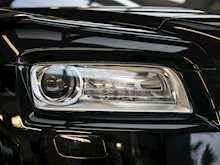 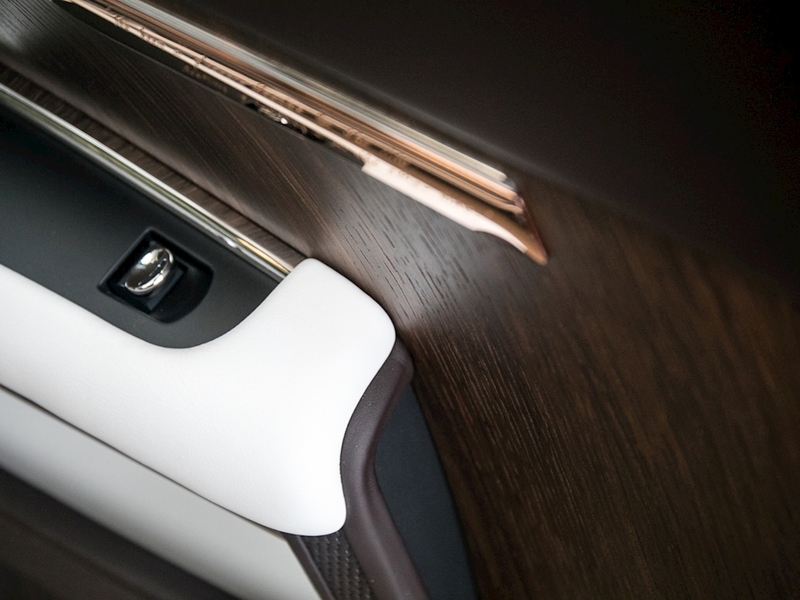 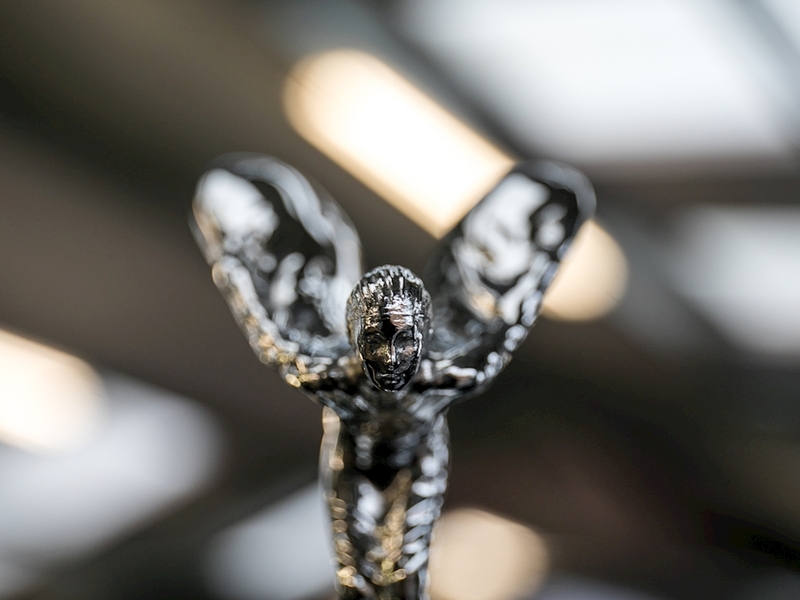 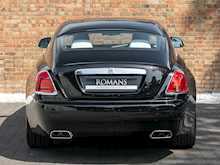 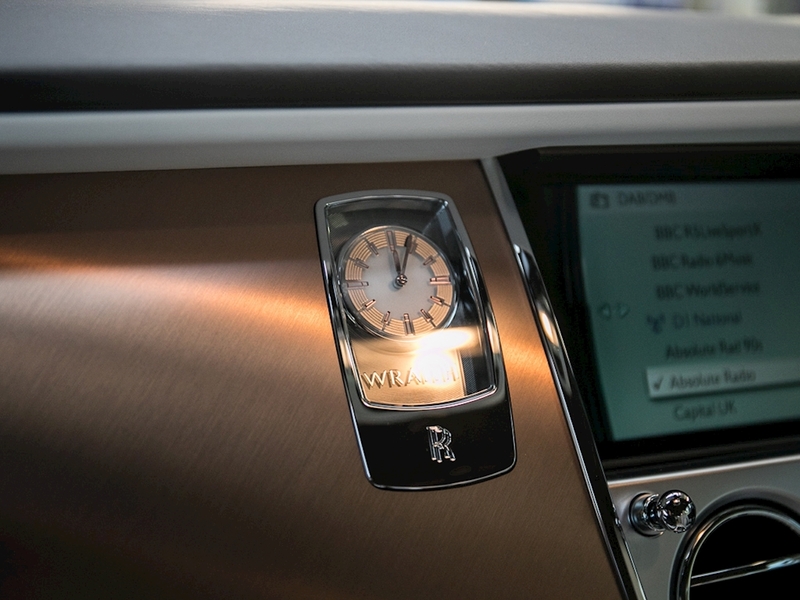 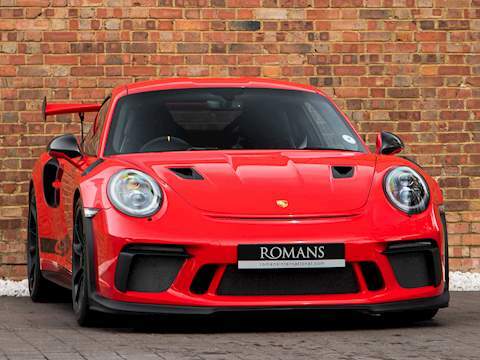 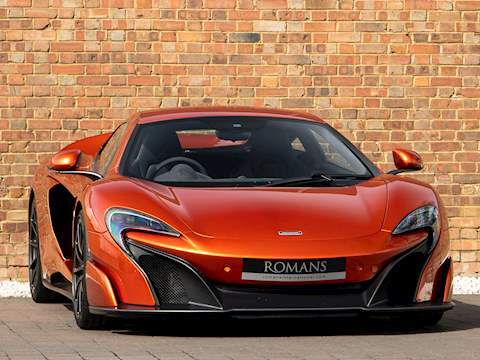 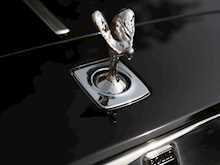 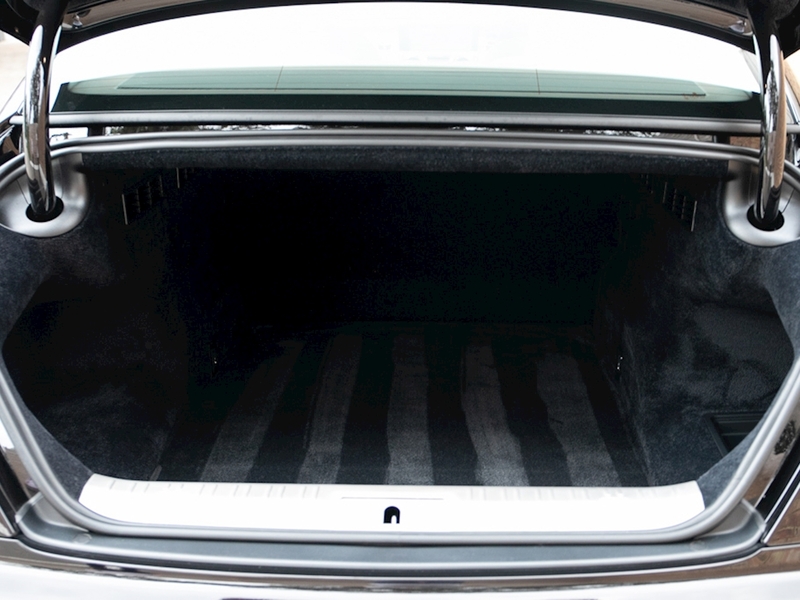 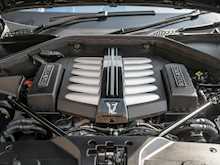 Other stand out features include the “Ronnie Wood” engraved door sills and base of The Spirit of Ecstasy. 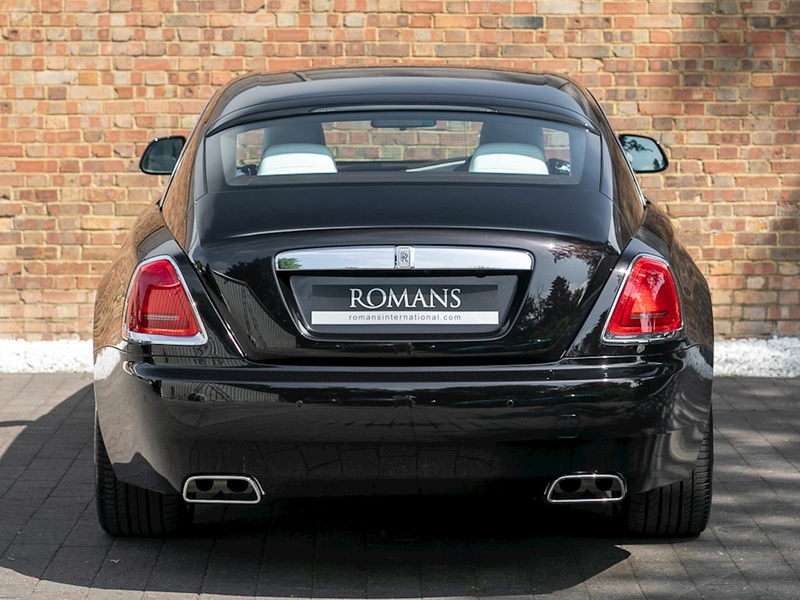 Overall this highly collectible one-off car presents a rare opportunity for Ronnie Wood and Rolls-Royce enthusiasts alike.